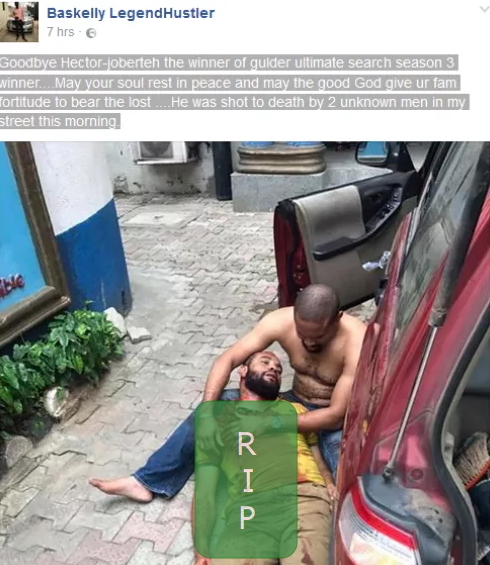 A viral report on the social media on Sunday revealed that GUS (Gulder Ultimate Search ) 2006 winner, Hector Oluwaseun Jobartech has been murdered. 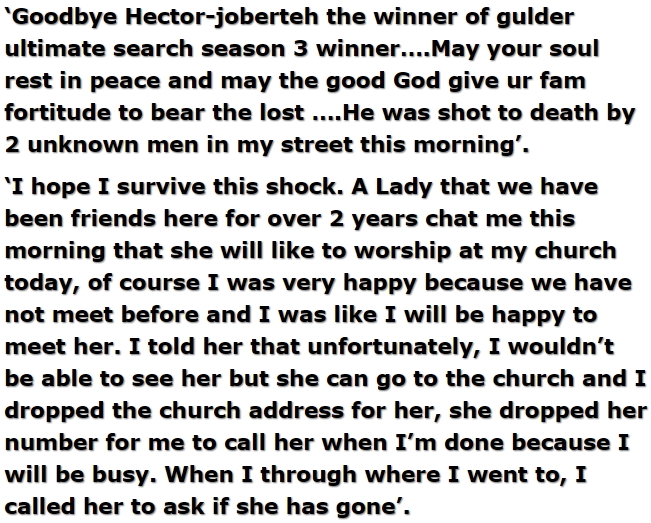 According to a close friend who broke the news on Facebook yesterday, Hector was murdered by some suspected assassins who trailed him to his home from the Airport. 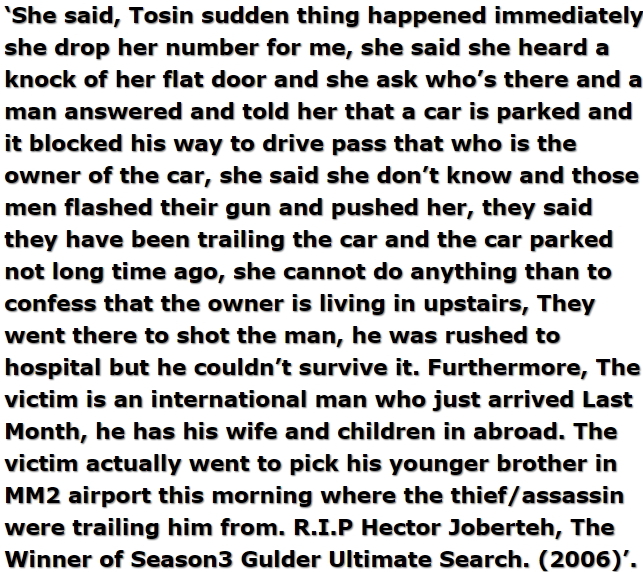 The deceased is survived by his wife, Oseyi Okoh, a former GUS contestant. 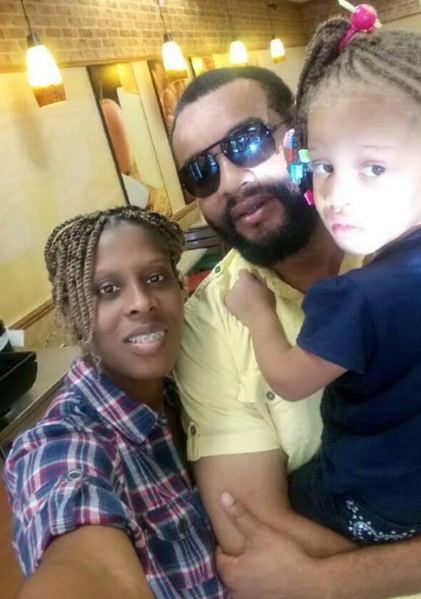 The couple married on April 5th 2013. Oh common. Save your thoughts for yourself only, pls. Hmmm. Pls save your thoughts for yourself. You think indeed? 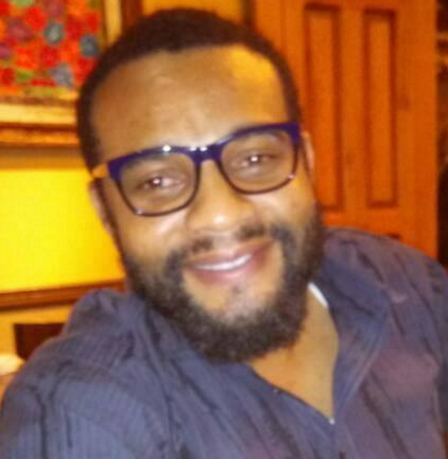 Now won’t you just know because you are one?